At the Graduate School Commencement ceremony on Saturday, May 14, two professors will be honored with the James A. Burns, C.S.C., Graduate School Award. Given annually to a faculty member for distinction in graduate teaching or other exemplary contribution to graduate education, awardees are selected by a committee comprised of past Burns Award winners and the Dean of the Graduate School, Laura Carlson. In selecting Prof. Jeff Feder, the committee noted his remarkable vision, coupled with unrelenting tenacity, in conceiving of and successfully implementing the GLOBES program. GLOBES has been an extraordinary catalyst of new collaborations across departmental and collegiate bounds at the University. Given that more than half of the GLOBES real world practicum projects have been undertaken in international settings, the program has also increased Notre Dame’s international profile in tangible ways. 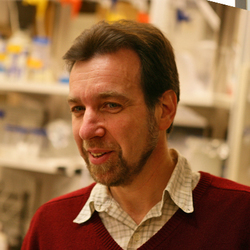 All of this was accomplished while Prof. Feder continued to serve graduate students in Biological Sciences, mentor the students in his lab, and produce top research—he is widely recognized as the leading contemporary scholar of how evolution of a new species can occur even without geographic isolation. In recognizing Prof. Catherine Zuckert, the committee was drawn to her exemplary dedication to graduate education and mentoring. In addition to the remarkable number of students she mentors and the time she devotes to each student, the committee was impressed by the description of her as both generous and demanding, with extraordinarily high standards. 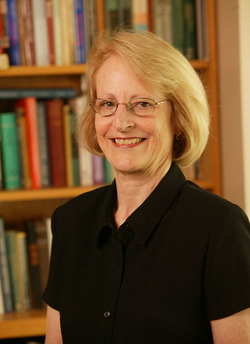 Prof. Zuckert, who serves as Editor of Review of Politics, which many in the field consider to be the leading journal of political philosophy, not only made significant innovations to the publication itself; she also devised ways to involve students as interns at the journal, thus providing the students selected for this prestigious responsibility with invaluable experience. Prof. Zuckert’s critical role in the development of graduate training is further evidenced through her singular role in the recruitment of stellar students and faculty as well as numerous examples of her ongoing dedication to building a supportive and collegial scholarly community. The James A. Burns, C.S.C., Graduate School Award takes its name after Notre Dame’s ninth president, who was instrumental in elevating graduate education at the University. He recruited faculty with doctorates, created the five-college administrative structure, encouraged research, and was a prodigious fundraiser. Originally published by Evan Bryson at graduateschool.nd.edu on April 28, 2016.